L'Hôtel du Parc propose a special offer : you can book a room including breakfast for two persons in the price of the room. This offer is valid only with a direct booking (telephone, e-mail, or the Hotel's website) for all the types of room (Economic, Confort or Privilège). No need to wait and savour our buffet Breakfast ! 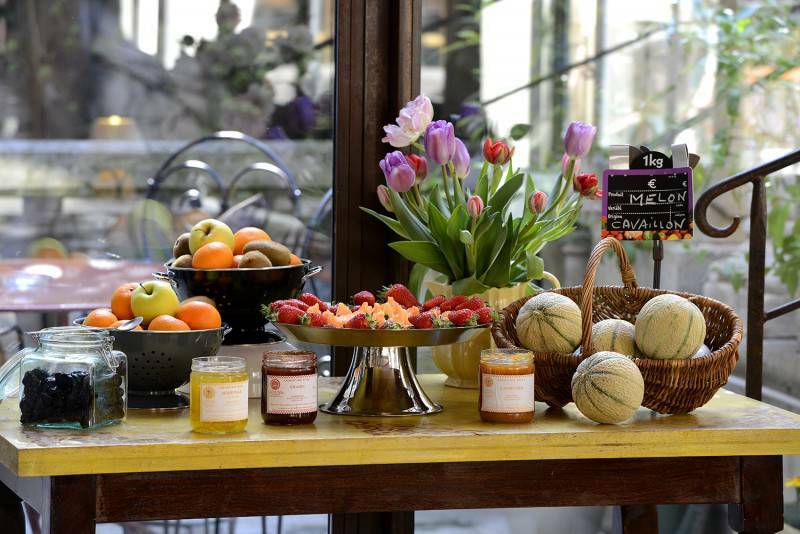 Fresh bread, salty products, homemade marmelade, squeezed orange juice, viennoiseries... many local products at your disposal to start the day well !